I created this document so that I could keep track of my little writing victories. It's both a record and a motivation. Sometimes you just need to remind yourself that you can achieve things if you put the effort in, right? When I tell myself I'm not actually very good at the writing side of things, only the community things, I can check back here and give my confidence a boost. 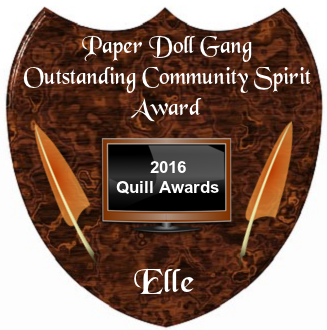 2015 Quill for Best Short Poem, Structured, with "Haunted"
2015 Quill for Best Flash Fiction, with "Waiting"
Grand prize winner of "HONORING OUR VETERANS" (August 2015) with "Waiting"
2014 Quill Award for Special Contributions to WDC for demonstrating indefatigable community spirit in every aspect of WDC. 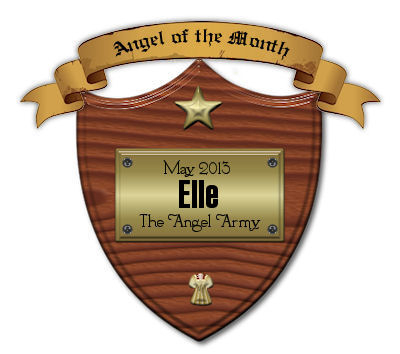 2013 Quill for Best Holiday with "Elf Elle's Naughty & Nice Lists!" 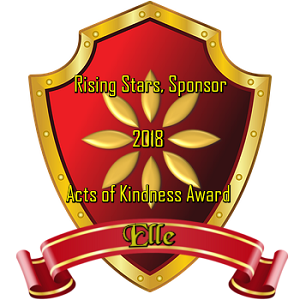 Grand prize winner of "HONORING OUR VETERANS" (March 2013) with "Forgotten Grave"
First place in "Second Time Around Contest" (March 2019) with "As we, that are left, grow old..."
First place in "Musical Drabble" (February 2019) with "A shrine"
First place in "Shadows and Light Poetry Contest" (February 2019) with "Vigil"
First place in "The Taboo Words Contest" (August 2018) with "Everyday cremation"
First place in "Pond Poetry - ON HIATUS!" (March 2018) with "Perspective"
First place in "Musical Drabble" (September 2017) with "Happy birthday"
First place in "Invalid Item" (May 2017) with "Cnotes with Attitude!" First place in "The Vision Revision Contest" (December 2016) with "Sweet As"
First place in "PersonITfication " (August 2016) with "Lunarcy"
First place in "Poetic Traditions Poetry Contest" (July 2016) with "Winter in Auckland"
First place in "The Writer's Cramp" (May 2016) with "A Creative Retreat"
First place in "Whispers Of The Soul" (February 2016) with "Speak Life"
First place in "Invalid Item" (February 2016) with "Winter Wonderland"
First place in "The LGBT Writing Contest" (February 2016) with "Roses Are Red"
First place in "Invalid Item" (February 2016) with "Roses Are Red"
First place in "Invalid Item" (February 2016) with "Nobody is perfect"
First place in "Prompt Me Musically - ON HIATUS" (February 2016} with "Parental Time Warp"
First place in "Weekly Image Prompt Contest" (October 2015) with "The City That Never Sleeps"
First place in "Night & Day Poetic Prose Contest" (July 2015) with "Waiting"
First place in "Tweet Me a Story" (August 2015) with "Entry (139 characters)"
First place in "Invalid Item" (July 2015) with "Dreams"
First place in "Good Deeds Get CASH!" (May 2015) with Review of "Beyond Caring"
First place in "Invalid Item" (May 2015) with "A Portrait Of Symbolism"
First place in "Invalid Item" (April 2015) with "A Haunting Sweetness"
First place in "We Write for Kids Contest: Closed 4 now" (April 2015) with "Thunderstorm"
First place in "The Writer's Cramp" (25 April 2015) with "A Sci Fi Dream"
First place in "Invalid Item" (April 2015) with "The Magician"
First place in "Invalid Item" (February 2015) with "Astromail"
First place in the "30-Day Blogging Challenge" (September 2014) with "The Kiwi Dream"
First place in the Myth Room of the "WDC's Fancy Dress Contest" (September 2014) with "A Lonely Dragon"
First place in "The Bard's Hall Contest" blogging challenge (June 2014) with "The Kiwi Dream"
First place in "The Poetic Pen" contest (April 2014) with "As Night Descends"
First place in "The Weekly Quickie Challenge" (February 2014) with "Reinventing Valentine's"
First place in "Here Ye! 13 Reasons to Love WDC Contest!" (September 2013) with "13 Reasons to Love WDC"
Winner of 'best opinion entry' in the "30-Day Blogging Challenge" (July 2013) with "Janie's Got A Gun..."
First place in the "Shadows and Light Poetry Contest" (June-July 2013) with "Forgotten Grave"
First place in the "The Writer's Cramp" (June 2013) with "Tortellini Minestrone"
First place in the "30-Day Blogging Challenge" (May 2013) with "The Kiwi Dream"
Winner of 'best opinion entry' in the "30-Day Blogging Challenge" (May 2013) with "Bad Moon Rising..."
Winner of 'best creative entry' in the "30-Day Blogging Challenge" (May 2013) with "Wedding weeds..."
First place in "The Weekly Quickie Challenge" (September 2012) with "Taking Control"
First place in the FormWork contest (August 2012) with "Swim Free"
Second place in "The Taboo Words Contest" (February 2019) with "Vigil"
Second place in "Spirits At Lighthouses Poetry Contest" (August 2018) with "Ghostly gait"
Second place in "Invalid Item" (August 2016) with "In my sleep"
Second place in "Prompt Me Trekly" (February 2016) with "Ties of Blood and Water"
Second place in "The Winter Construct Cup Again" (January 2016) with "Elle's Poetry"
Second place in the "Invalid Item" (September 2015) with "After The Party"
Second place in "Invalid Item" (September 2015) with Review of "It's No Match for Friendship"
Second place in "Invalid Item" (July 2015) with "Dreams"
Second place in the "Invalid Item" (July 2015) with "Waiting"
Second place in the "Invalid Item" (July 2015) with "Some grafitti inspired by Cinn..."
Second place in the "Dark Dreamscapes Poetry Contest" (June 2015) with "Haunted"
Second place in "Pond Poetry - ON HIATUS!" (May 2015) with "Until Tonight, My Love"
Second place in "Journey Through Genres: Official Contest" (May 2015) with "Knowing Her"
Second place in "Love Shouldn't Hurt Poetry Contest" (May 2015) with "No Escape"
Second place in "Whispers Of The Soul" (April 2015) with "Hope"
Second place in "Picture a Story" (April 2015) with "Striking A Chord"
Second place in "Shadows and Light Poetry Contest" (April 2015) with "The Scene Is Set"
Second place in "Shadows and Light Poetry Contest" (March 2015) with "Dusty Memories"
Second place in "The LGBT Writing Contest" (February 2015) with "The Phoenix"
Second place in A River of Poetry (August 2014) with "Fear"
Second place in "Good Deeds Get CASH!" (July 2014) with Review of "Hey, life? Are you kidding me?" Second place in the "Jane Austen Contest " (March 2014) with "To Refuse A Duke"
Second place in the "Haiku Hunt Contest" (January 2014) with "New Zealand Winter"
Second place in the Mad Dash contest (November 2013) with "The Kiwi Dream"
Second place in the Short Story category of "Project Write World" (January 2013) with "Not One More Acre!" Second place in "Dear Me: Official WDC Contest" (January 2013) with "Dear Me"
Second place in "Long, Long, Long" (September 2012) with "Grand and Epic Adventures"
Second place in the "Crazy Creative Colours Contest" (September 2012) with "A Touch Of Spring Has Come"
Third place in "Once Upon A Contest" (February 2017) with "Perhaps with repetition"
Third place in "The Bard's Hall Contest" (May 2017) with "Chiari Malformation"
Third place in "Shadows and Light Poetry Contest" (April 2017) with "Unicorns and metaphors"
Third place in "Project Write World" (April 2017) with "First rule of fight club..."
Third place in "Good Deeds Get CASH!" (October 2016) with Review of "~No Better Sin Than Desire~"
Third place in "Project Write World" (September 2016) with "Treaty of Waitangi"
Third place in "Invalid Item" (April 2016) with "Under The Small Top"
Third place in "Shadows and Light Poetry Contest" (November 2015) with "Glory"
Third place in "Whispers Of The Soul" (October 2015) with "Heated Confrontations"
Third place in "Shadows and Light Poetry Contest" (September 2015) with "She Calls Me Her Muse"
Third place in "Whispers Of The Soul" (February 2015) with "Dusty Memories"
Third place in the "Invalid Item" (March 2013) with "At The End Of The Day"
Third place in "HONORING OUR VETERANS" (September 2012) with "Two Ordinary Men"
Third place in "A Contest of Firsts" (September 2012) with "First Kiss"
Honourable mention in "SENIOR CENTER FORUM" (February 2019) with "As we, that are left, grow old..."
Honourable mention in "Verdant Poetry Contest" (October 2017) with "As the days grow short"
Honourable mention in "The Pink Fluffy Unicorn Contest" (May 2017) with "Unicorns and metaphors"
Honourable mention in "The LGBT Writing Contest" (October 2016) with "A Conflagration of Honesty and Passion"
Honourable mention in "Write from the Heart Poetry Contest" (August 2016) with "#Support"
Honourable mention in "Whispers Of The Soul" (August 2016) with "Heading Home"
Honourable mention in the "Shadows and Light Poetry Contest" (July 2016) with "Perfectly Flawed"
Honourable mention in the "Dark Dreamscapes Poetry Contest" (June 2016) with "Perfectly Flawed"
Honourable mention in the "Shadows and Light Poetry Contest" (March 2016) with "Ties of Blood and Water"
Honourable mention in the "Invalid Item" (September 2015) with "Caitlin"
Honourable mention in the "Invalid Item" (September 2015) with "First Kiss"
Honourable mention in the "30-Day Blogging Challenge" (January 2015) with "The Kiwi Dream"
Honouable mention in the "Shadows and Light Poetry Contest" (May 2014) with "Moonlight Becomes You"
Honourable mention in "Once Upon A Time Workshop/Contest" (April 2014) with "The Search For Inspiration"
Honourable mention in A Broken Heart poetry contest (January 2014) with "A Heart Is Broken"
Generated in 2.35 seconds at 12:44am on Apr 24, 2019 via server S30.